Man Reaches The Peak Of His Knowledge of God When He Realizes That He Does Not Know Him — The Contemplative Life. Over the past several years, the master had become increasingly intrigued by an alternate way of knowing God – the intuitive or 'mystical' approach embraced by his spiritual father, Augustine. According to Eckhart, Augustine had grasped that theologians were always trying to balance the understanding of God offered 'through a glass darkly' by reason with other wisdom obtained more directly by nonrational experience of the divine. 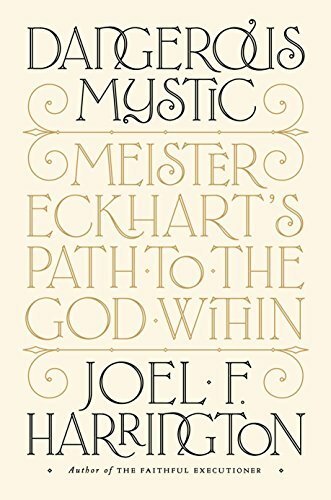 Now Eckhart decided that knowing God intuitively from within was no longer merely a complementary method to knowing God from without through rational inquiry, but was in many important ways superior to it. The master never completely abandoned his philosophical work, but he increasingly acknowledged its inadequacies, particularly in reaching his own ultimate goal of achieving direct experience of the divine."